I am personally proud of this involved, put-your-money-heart-and-soul-where-your-mouth-is community. 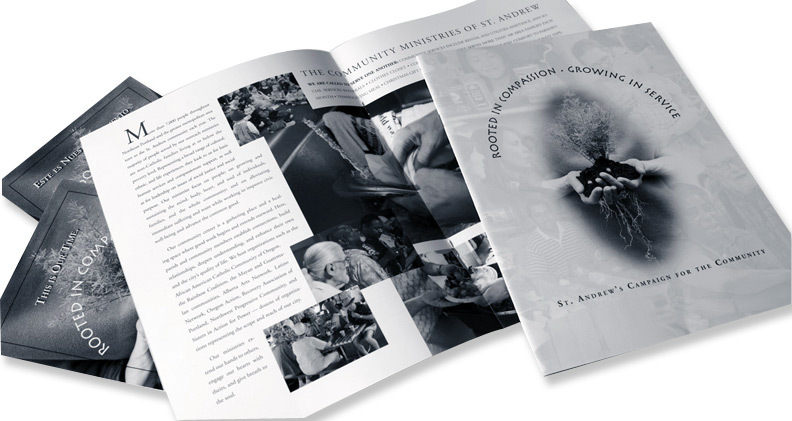 As an active voice for social justice within the greater Portland area, St. Andrew’s is a meeting place for many groups of concerned people; consequently its seams were bursting. Working with a writer and photographer, we crafted a visual story of the diverse strength of this small, but loud community. 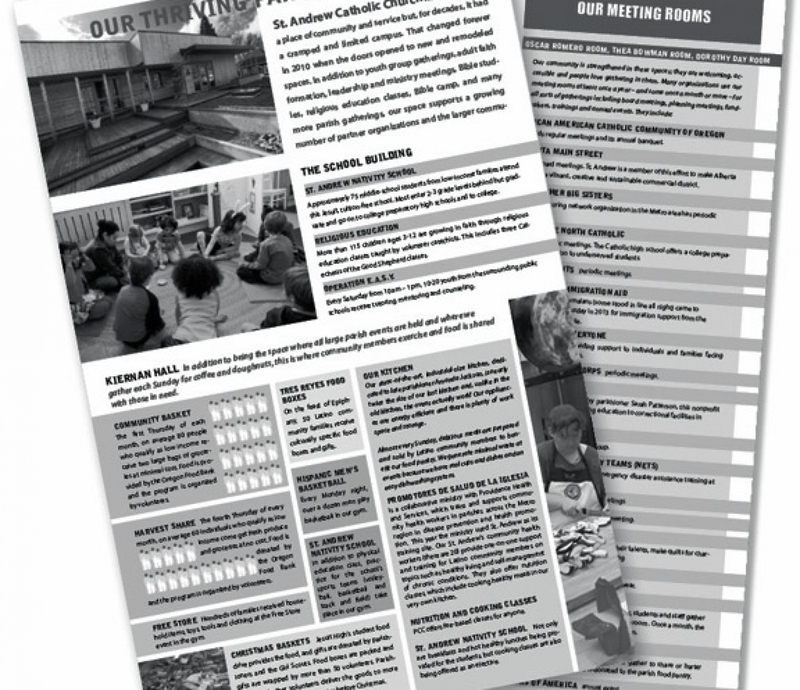 The project, done in both English and Spanish, included postcards, thank you notes and well-wishes by many. The result was an expanded community center, additional rooms, kitchen and restrooms. 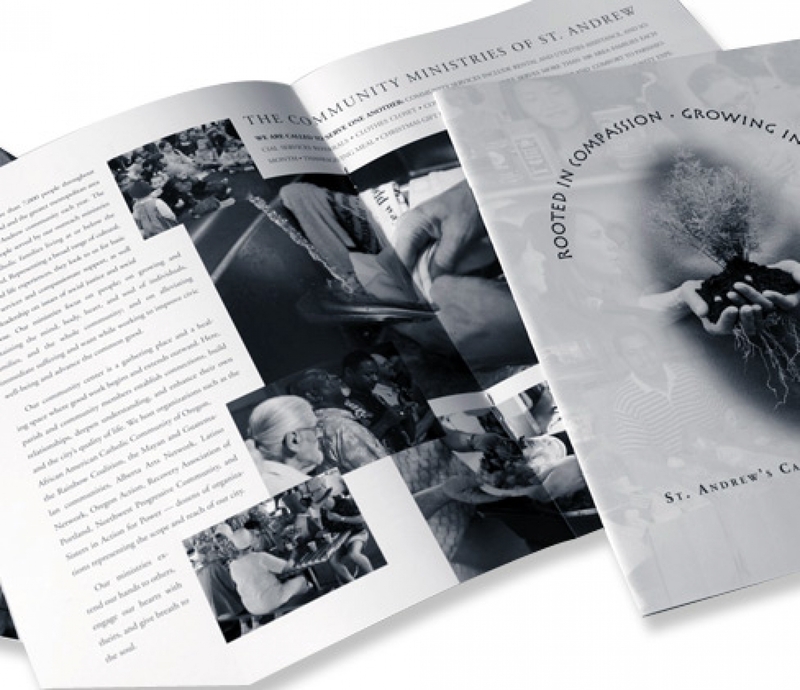 At the conclusion of building, another brochure was designed to show the diverse number of catholic and some 21 non-catholic charitable organizations utilizing the new St. Andrew Community Center. 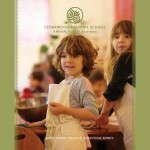 Task: Design brochure; tell the story of its people. 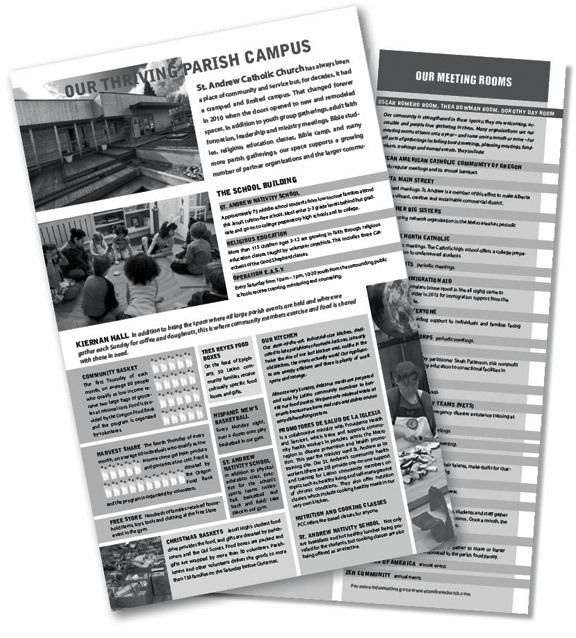 Result: A successful campaign that produced an expanded community center for NoPo.